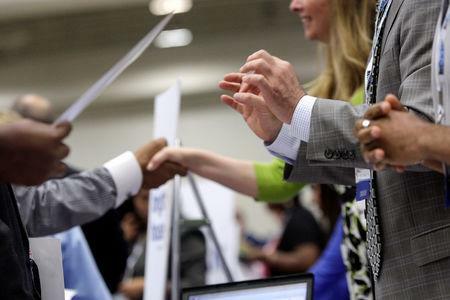 WASHINGTON (Reuters) - U.S. job openings surged to a record high in December, led by vacancies in the construction and accommodation and food services sectors, strengthening analysts' views that the economy was running out of workers. While the release of the Labor Department's monthly Job Openings and Labor Turnover Survey, or JOLTS, on Tuesday underscored labor market strength, there are worries the shortage of workers could hurt an economic expansion that has lasted 9-1/2 years and is the second longest on record. "The labor market continues to heat up," said Chris Rupkey, chief economist at MUFG in New York. "But growth cannot continue for much longer if there is no one out there to work in the factories and shops and malls across America." Anecdotal evidence has been growing of companies experiencing difficulties finding workers. A survey of small businesses published on Tuesday found that almost a quarter of owners reported that difficulties finding qualified workers as their "single most important business problem" in January. "The diminishing availability of workers is expected to lead to more upward pressure on wages, bring more workers into the labor force and induce more companies to find ways to produce and service their customers with automated processes," said Sophia Koropeckyj, a senior economist at Moody's Analytics in West Chester, Pennsylvania. 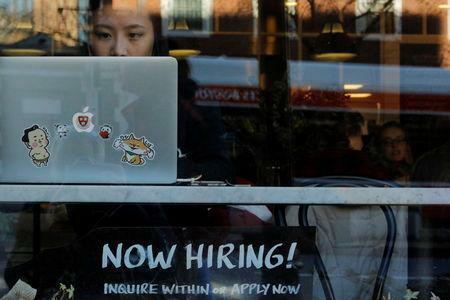 "With a labor market this tight, you may expect the quits rate to be going up or at a higher level already," said Nick Bunker, an economist at Indeed Hiring Lab. "The big question is whether this a temporary lull, or if the quits rate has hit its high point."